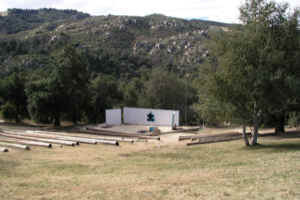 Cubland is located near the entrance to camp (turn right at the A-Frame) and has three campsites. Cubland is excellent for family camping and parking is adjacent to the sites. There are also 10 RV sites with water and electrical hookups, but there are no facilities for waste dumping. There are male and female restrooms at the site (no showers), running water, and a campfire ring. The A-Frame is located near the entrance to camp. This building has both male and female restrooms (no showers), a large open center room, fireplace, and ample parking. A flip chart and TV/VCR are available for training upon request. 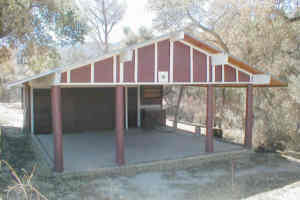 The A-Frame is for use as a meeting place only; camping or overnight sleeping in this facility or its adjacent grounds is not permitted. 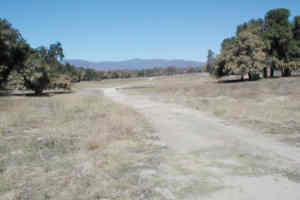 The Camporee field consists of 50 acres and is located just prior to the main entrance to camp. 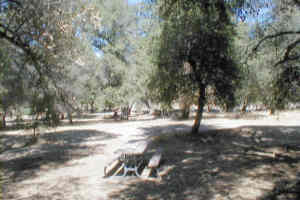 There is a water line with numerous spigots running through the field and a large campfire ring that can accommodate all participants. This area is generally used for extremely large groups and events. Since there is no restroom facility on the Camporee field, portable toilets must be arranged for by the group or the camp can arrange them for you upon request. Camp Parker Lake is located directly in the middle of the Mataguay Valley. It has several campsites. Each site is located near a latrine, has running water, and a campfire ring for use. Groups are permitted to drive on the paved road close to their site in order to unload and load gear, but must return all vehicles immediately to the Parker Lake parking lot. There are warm showers open year round near these sites at the Parker Pool. 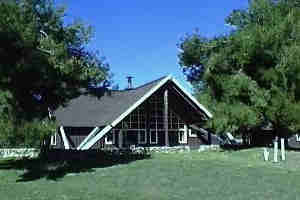 This lodge is located in the center of camp Parker Lake within an easy walk from the parking lot. It is the perfect building to hold meetings or training sessions while staying at Mataguay. The open center room is large with a comfortable seating capacity of over 30 individuals. There is also a large fireplace for warmth and comfort during the chilly winter months. Off of the center room there is a kitchen with a four burner electric stove, sink, refrigerator, coffee machine (bring your own coffee and supplies) and plenty of counter space. 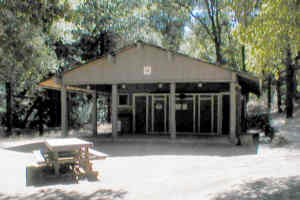 At the entrance of the lodge there are five picnic tables capable of hold roughly 40 people. There is also a large BBQ for your use or you can bring your own camp stoves for cooking if desired. Mataguay has two lakes available for recreational fishing; a fishing license is not needed and there is no charge for fishing. Parker Lake is available for boating year round; canoes and row boats. All participants must agree to wear a Personal Floatation Device before boating is permitted. Groups must provide individuals with BSA Lifeguard or equivalent training. As with the pools, if you do not have a certified lifeguard, arrangements can be made for a lifeguard if requested at least two (2) weeks in advance. 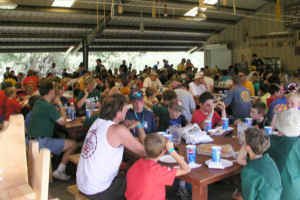 The camp central dining hall is located within walking distance of Parker Lake Parking lot and right off the main camp access road. The dining hall has a small parking lot of its own for about ten vehicles. The hall lies at the top of Cardiac Hill with a magnificent view of the entire valley. 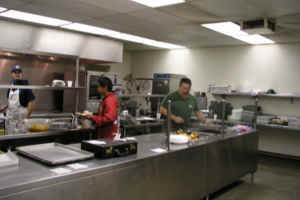 The central seating area of the dining hall is under an open-bay roof but the attached kitchen is enclosed. The kitchen is stocked with cooking utensils, a large industrial four burner oven, two cooking griddles, and a four tray pizza oven. It is available for both small and large group use. There is one large campfire ring in the Parker Lake area that can accommodate approximately 800 people. The Baden-Powell ring is located adjacent to Parker Dining Hall. This ring is available only with permission from the ranger or campmaster when fire danger is at a minimum. Campers may use downed wood found throughout the valley for campfires, or they may wish to bring their own. There is no cutting of live wood. 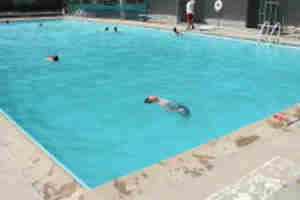 Due to the weather, Parker Pool is only open from May to June and September to October, as any earlier or later would make it too cold for use. 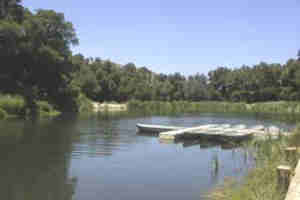 Parker Pool is located in the center of camp and is in general walking distance to all areas of Camp Parker Lake. This pool has two large shower and changing rooms, two smaller center changing rooms, and is handicap accessible. Groups must provide a person trained in BSA Lifeguard or equivalent training. If a group would like to use the pool but cannot provide a properly trained individual, arrangements can be made with the Ranch Director, at least two (2) weeks in advance, for an individual to Lifeguard. 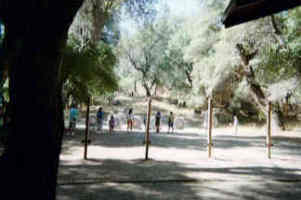 Mataguay is pleased to offer these different ranges to units and groups at camp. Ranges may be rented on three levels. The first is use of the range with no supplies. This is for special qualified groups who have their own firearms and have been cleared by the Ranch Director (i.e. law enforcement, military reserve units, etc.). 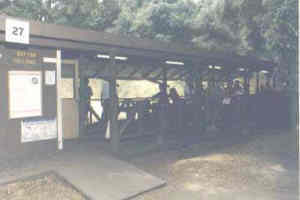 The second way is to rent the range with all supplies provided (this includes use of firearms, ammo, targets, and cleaning supplies), yet the group provides a current certified NRA instructor and agrees to clean all equipment after use. If the group does provide a NRA qualified range instructor, this documentation must be provided upon arrival. 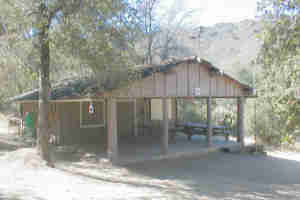 The third rental option is for the camp to provide all services. This includes all equipment and a qualified NRA range instructor. In this case, ranges are open contingent on the availability of qualified range masters. Requests for qualified range masters must be made at least two (2) weeks in advance. 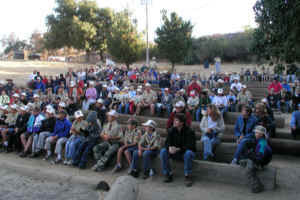 There are several programs available to groups who use camp provided range masters. Units may wish simply to have recreational shoots or may choose to use the time for merit badge work or qualifications in NRA programs. When making reservations please note what you would like to accomplish. NOTE 1: Due to National BSA Standards, Cub and Webelos Scouts are permitted to use BB guns and the Archery range but are not permitted to shoot .22's, black powder, or shot guns. NOTE 2: NO PERSONAL FIREARMS OR ARCHERY EQUIPMENT OF ANY KIND ARE PERMITTED WITHOUT PRIOR APPROVAL FROM THE RANCH DIRECTOR!! 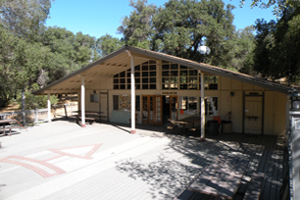 Other buildings in the Parker Lake area are reserved for summer camp, council-sponsored events, or by direct arrangements through the Ranch Director. Camp Blackfoot is located in the middle of our valley and the sites are reserved for a more rugged camping experience. Vehicles are not allowed inside this campground; all campers must hike in. Parking is at Blackfoot Fort located below the camping area or in the Parker Lake parking lot. 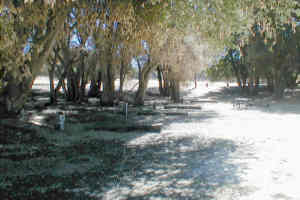 Campsites have running water and campfire rings and are located in the vicinity of a latrine. 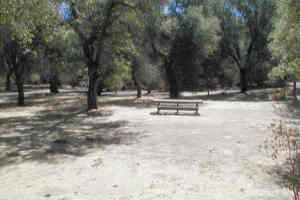 During winter months, however, this campground is winterized and all water is turned off, therefore all reservations must be approved in advance by the Ranch Director. The Blackfoot headquarters building is located off the main camp road within the fort. There is a small parking lot in the fort. The building has a large patio area, small main room, and a bathroom with a shower. Other buildings in the Blackfoot area are reserved for summer camp, council-sponsored events, or by direct arrangements through the Ranch Director or Ranger. 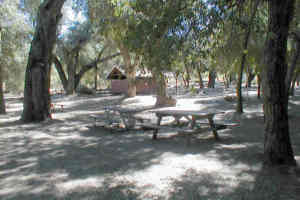 There are several campsites available for camping. These are located between the Campmaster building and Indian Rock program shelter. All sites have running water, are located in the vicinity of a latrine, and have fire rings for use. The Indian Rock headquarters building is located immediately adjacent to the Indian Rock parking lot. The building has a large patio area, small main room with two beds, and a bathroom with a shower. There is one large fire ring located above the Indian Rock program shelter. This ring is available only with permission from the ranger or campmaster when fire danger is at a minimum. 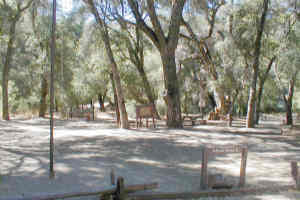 Other buildings in the Indian Rock area are reserved for summer camp, council-sponsored events, or by direct arrangements through the Ranch Director or Ranger.